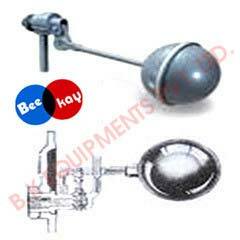 Today, we have carved a niche among the leading Ball Float Valves Manufacturers based in India. Our Ball Float Valves are direct mechanical lever operated ball float valves available in single or double ported in various metals. Automatic Ball Float Valve offered by us is mounted on different types of tank equipment. Automatic Ball Float Valve offered by us is perfect for the application of liquid level controlling. When the liquid level crosses the pre-set levels, the automatic ball valve triggers a mechanism that alerts the operators, who can take necessary action. These valves are made from best materials to ensure that do not corrode or degrade due to being in constant contact with the liquids.